TARIN KOWT, Uruzgan, Afghanistan, August 18, 2011 (ENS) – Farmers in Afghanistan’s central Uruzgan province are crying out for the government to provide sources of irrigation water, saying it has not lived up to its promises to build reservoirs. Officials say they are exploring possible solutions, but lack the money to move forward on water provision or the shortage of pesticides and other farming inputs. 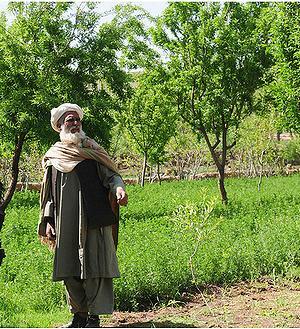 Nine out of 10 people in Uruzgan, a mountainous area north of Helmand, are employed in agriculture, and many believe that if productivity was raised and road links improved, they could earn a good living by supplying other parts of the country. 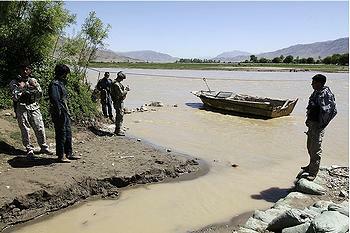 With the river Uruzgan flowing through it, the province is not short of water. The problem is that rainfall is limited to winter and spring, and there is no way of capturing and storing water for the summer growing season. He said the river provided adequate irrigation in past years, but water levels fell due to drought, so that he and his brother are now forced to run a generator to pump water from a deep well to keep their trees alive. Mohammad accused the Afghan government of making “empty promises” about resolving the water shortage. The head of the provincial agriculture department, Sardar Mohammad Aloko, said the authorities have no money to pay for new reservoirs and are seeking donor funding. Local farmers also complain that they cannot get hold of seeds, fertilizer and pesticides. Even if farms become more productive, there is no guarantee they would make money because local demand is limited and poor roads make it difficult to transport the surplus to markets elsewhere. Farmers complain there just aren’t enough customers to buy up all their produce when it comes into season, so that they are forced to drop their prices or leave it to rot. Meanwhile, Pakistani vegetables are imported to Uruzgan out of season and sell at high prices. 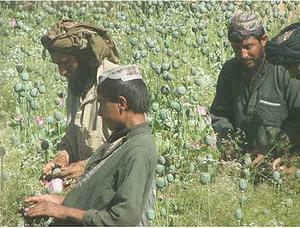 He said many farmers are emigrating from Afghanistan or taking up other trades because they are unable to cover costs.